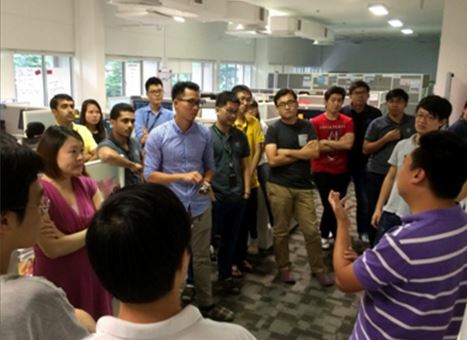 Learning the fun way at NUS IT101! 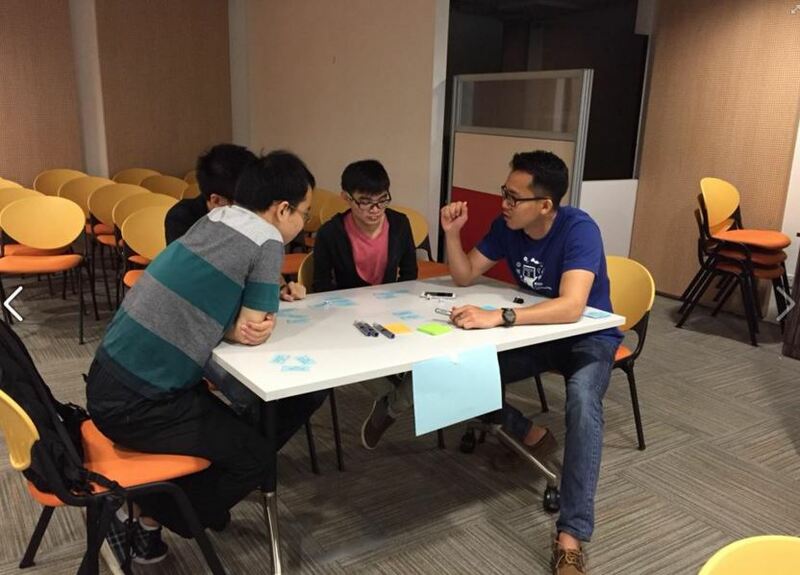 Find out more about how we brought our style of learning in Titansoft out to our recent IT101 talk at NUS SoC. Pick up some useful key lessons we imparted that can be applicable to almost everybody! Titansoft places a very high emphasis on continuously improving and fosters an environment where learning new things to continuously adapt is the norm. As a Titaner, I often find myself at the receiving end of tons of opportunities to learn new things through internal and external trainings. 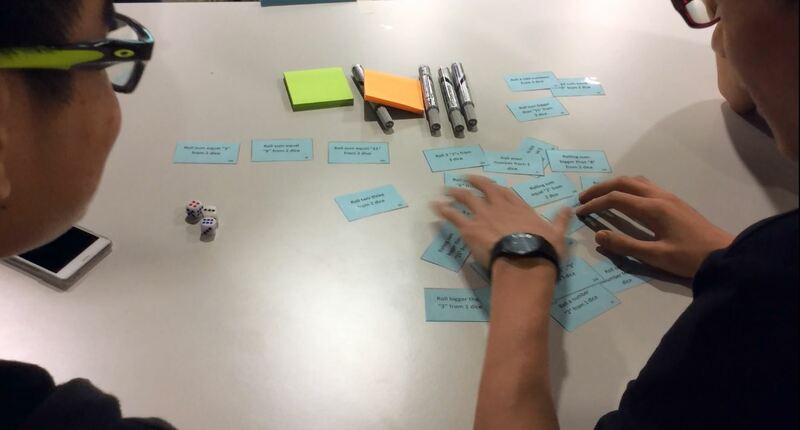 Most of the time, I find that I learn best by experience- at workshops that provide hands on experience, or even better, those that make it fun through games 😀 Check out the most recent workshop I attended: a games workshop to learn more about Kanban! 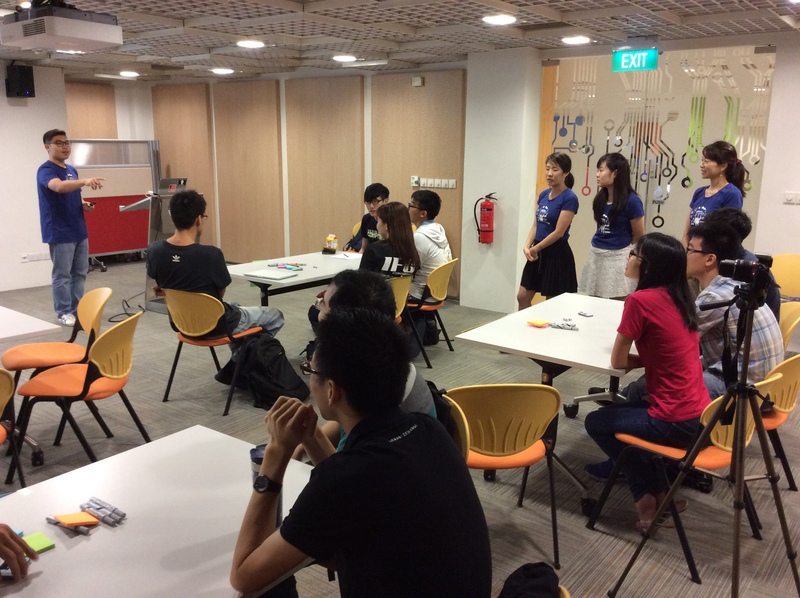 It is through this aspect of learning through play that we hoped to impart some knowledge to the students of National University of Singapore’s School of Computing (NUS SoC) at an IT101 workshop we conducted for the students recently. As a proud industry partner of NUS SoC, Titansoft and our Titaners enjoy taking some time to give back to the community and to interact with the students ( Plus,we love our office but it’s good to take a break and get out for a change of environment every now and then 😉). Instead of the usual career talk/workshop telling students about what’s happening in the industry or what working outside in the real world is like, we mainly wanted to share some useful tips to help them with their projects while they were still in school. It is through this exciting experience of playing the game that we highlighted 4 key lessons that could be learnt and applied both in the school as well as work context. 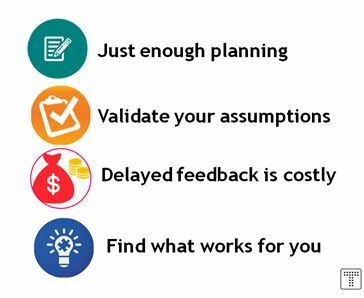 Have you ever planned a big project for months, right down to the nitty gritty detail, only to have your plans thrown up in the air thanks to an unexpected situation? Most likely you had to spend copious amounts time redrawing up your plans. We’re not saying planning is a bad thing but one needs to be flexible to changes. Plan, but plan just enough, building on your plan as you go. 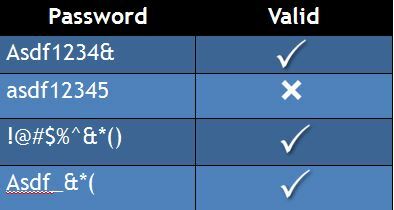 But what exactly does valid mean? We provide clear cut examples such as the ones below to the customer so they can properly visualize and we can clarify their request. Same for non-developer roles, when your supervisor asks you to do something, clarify if you aren’t sure. It only takes a few minutes of communication and it could potentially save you from going down the wrong path for months only to achieve the wrong outcome. Early feedback helps us to minimize waste. After we complete a feature, we verify every implemented feature with the requester before starting on the next feature. In Titansoft, our scrum teams also find that feedback and input via cross-team communication often aids development by providing more perspective and ensuring that all teams have the same common understanding during development. In fact, we even have a bell in the middle of our office, when anyone encounters a bug or needs input all the need to do is ring the bell and everyone comes together to provide input into solving the problem. Ultimately for us, there is no fixed way to get around a problem and everyone is encouraged to think out of the box. Every situation is unique and everyone has different ways of doing things. What works for one team may not work for the other. Ultimately the goal is to find and seek the best solution to problems and bugs we face during the course of development. This entry was posted in Titansoft Culture on October 21, 2015 by joannazhan.